Rainwater which trickled down to the depths of the Tauern mountains more than 3000 years ago now rises to the surface as a healing mineral spring. Every day some 5 million litres of fresh thermal water gushes forth. Fortified over the millennia with natural radon, this water has an especially vitalising effect on our cells. 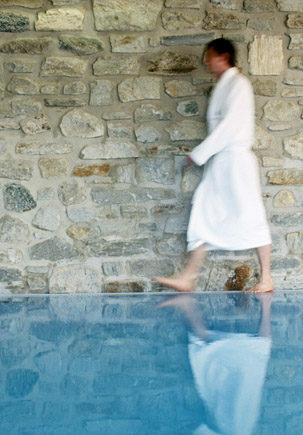 Still warm and damp after your thermal bath, wrap yourself in a large cosy bathrobe, and treat yourself to one hour of rest and enjoy the full stimulating effect of the radon.